It’s important that our customers feel safe in their homes. Many of the products fitted by CGS comply to high-level security standards determined by Secured by Design (SBD), PAS 24 or Part Q, which all provide enhanced physical security and operate as an effective deterrent to criminals. If the security of your home is something you’re particularly concerned about please contact our team for advice. CGS have many years’ experience installing glazing and door systems designed to prevent burglaries and deter criminals from attempting to enter your home. Secured by Design (SBD) is a police-led initiative that encourages manufacturers to design products that discourage or prevent burglaries. 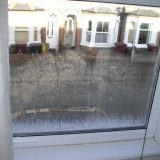 Research has shown that homes with SBD certified products and materials are up to 75% less likely to be burgled and show a reduction of 25% in criminal damage (source: Secured by Design website). 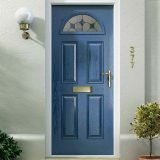 Formerly known as BS 7950, PAS 24:2016 is a British standard regarding the level of security offered by external windows and doors. Many of the uPVC and aluminium window and door systems supplied by manufacturers such as VEKA, REHAU and Ultraframe are tested by an independent third-party to ensure they meet the standard, receiving a pass only if they are deemed sufficiently secure. 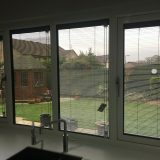 There’s no need to compromise the security and performance of your home when purchasing new doors and uPVC glazing systems. To provide peace of mind to our customers almost all windows and doors installed by CGS have been tested to ensure their compliance with Approved Document Q building regulations. All Part Q-approved windows and doors must be sufficiently robust and fitted with hardware capable of thwarting a determined physical attack. If you've got this far you should have a good idea what we do. 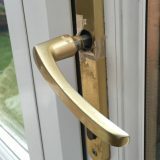 The next step is to give us a call about your project – from door lock repairs to garden room construction, our team of dedicated professionals will be able to help.